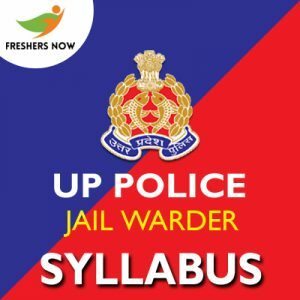 On this page, we have provided the latest UP Police Jail Warder Syllabus 2019. Also, the officials of the Uttar Pradesh Police Department had announced a recruitment notification for the Jail Warder posts. And all the eligible candidates need to check the entire page to get the उत्तर प्रदेश पुलिस विभाग Exam Date which is to be conducted in the month of March 2019. We have also furnished the UP Police Jail Warder Selection Process, the UP Police Jail Warder Exam Pattern 2019. So, download the given subject wise uppbpb.gov.in Jail Warder Syllabus 2019 in PDF format from the direct link attached to the end of this article. The officials of the Uttar Pradesh Police Department are ready to hire the capable, suitable and talented candidates. For this purpose, they want to conduct a particular process. It is the UP Police Jail Warder Selection Process 2019. So, all the aspirants need to check as given below. They have also mentioned that those who ever qualify the written test can only have the next levels. Therefore, candidates need to be prepared with all the topics given in the UP Police Jail Warder Syllabus 2019 PDF for the test. उत्तर प्रदेश पुलिस विभाग Jail Warder Exam Pattern 2019 is one of the original perspectives to clear the upcoming Written Examination. To prepare for any test, firstly everyone should know the outline of the written test. And, this outline is provided by the UP Police Jail Warder Exam Syllabus and the UPPBPB Exam Pattern 2019. Consequently, by referring the exam pattern aspirants can create awareness among themselves regarding the exam pattern, type of the test, the total number of questions asked in the exam, marks allocated for each issue, and a lot more details. So, soon after referring to the below table, all you need to do is to check the topics in that. Below is the direct link that gives you the concerned उत्तर प्रदेश पुलिस विभाग Exam Syllabus 2019. Furthermore, by more preparation with the topics, subjects you can easily strive for the Uttar Pradesh Police Department Jail Warder Test 2019. And you need to make sure that the test preparation should be completed in time. So, all the candidates need to concentrate more to attain the vacant posts. Within the single click, you can easily get the syllabus. We have also listed out the topics required for the UP Police Jail Warder Written Test 2019. Candidates must and should refer to the UP Police Jail Warder Syllabus 2019 before going to start preparation. Furthermore, you need to stick on to us on FreshersNow.Com for any other information. You can also drop your comment in the below section of our article.